Youmanage cloud HR is a unique online human resource management software service delivery platform. Built with both HR and people managers in mind, our intuitive interface guides human resource professionals, people managers and employees through every step of the employee lifecycle. 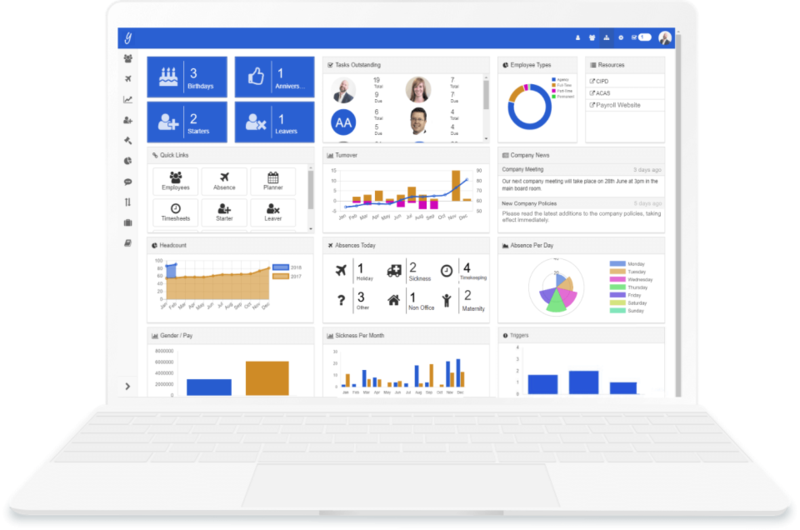 Whether you have 15 or 1,500 employees, our intuitive HR software interface combines all of the tools, workflow processes, information and legislative guidance that a manager or HRIS user needs. Pros: The reporting function is great - it is so easy to tailor and you can gain some really valuable insights. Cons: The structure of the absence approver hierarchy is complicated. It is based on managers, not on departments which is difficult when there are different managers in the same department and they all need to view each others absence planners. Overall: Our overall experience has been mainly positive. There have been a few issues and we have been frustrated occasionally with some of the programing structures. Our employees are able to book holiday and amend their personal details, which is the basics of what we needed. We still have to hire a consultant to manage our employee queries with Youmanage which is not ideal. Pros: To be honest the key thing for us as a charity was the price, which is extremely competitive. As we got further into it we also found the functionality was equal to many more expensive platforms. Our HR staff who have used other platforms are impressed by the number of boxes it ticks for streamlining our previously paper and MS office based processes. It save us hours a year just in holiday calculations and the self service element is a boon. Cons: I'd like to see more options to format some of the forms etc. to reflect our existing documents as there is a cultural change issue in getting managers used to using different formats which don't always seem at first sight to reflect the elements we have developed in house over time. Overall: From our first conversation with Youmanage staff we have been welcomed and supported all the way in. We are after nearly a year still working on adopting all of the available functionality, but we are fully supported throughout our journey. The online help library and support tools are excellent and we get very quick solutions to any issues we raise. Thank you very much for your detailed and positive review, Duncan! It's great to hear that you find our pricing competitive and the functionality of Youmanage to be comprehensive. We're especially glad that the holiday calculation features saves you valuable time. In addition, we've listened to your other feedback and have fed this directly to our development team. Pros: Good value for money. I like that the software is regularly updated. It's quite flexible to set up the way you want it via the admin settings without having to reach out to the support team. Cons: Can sometimes be a little tricky to manipulate custom reports. There can sometimes be mismatches or duplications due to tasks carried out by admin vs manager, for example the system does not notify you if you put in an absence record that the employee may already have pending. Overall: The system has come a long way in the last year, updates to the dashboard and back end have been much more regular and progressive. The support team are great too and I have a good rapport with them. I never feel like I'm asking a silly question, they answer them all with honesty and clarity. Thank you very much for your positive review, Kim! We're especially happy to hear that you find the Planner feature useful. We're glad you're happy. In addition, we've taken your other feedback on board and have fed this back to the development team. 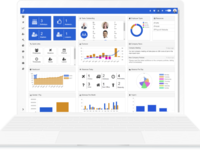 Pros: The dash board is useful to see at a glance who is in and out of the office and other key metrics. Pros: The system is incredibly intuitive and user friendly - it offers a comprehensive HR management solution for both managers and the team members. The system can be tailored to deal with all different shift patterns, and a big plus for us is that the Bradford System is integrated for sickness absence management. Cons: I would honestly say there is nothing abut Youmanage that I don't like or find frustrating. Pros: The granular depth to which it is possible to configure the software, means only those who have the lawful basis to process data can process data, ensuring compliance in line with General Data Protection Regulations. Cons: The systems capability is enabled by its complexity, sometimes it can be a little too complex for those of us who are less tech savvy, however this has never proved to be a problem, because the team have always been quick to assist. Thank you for your fantastic review, Jayne! It really means a lot to us to know how the powerful, granular featureset of Youmanage allows our clients to be compliant with the GDPR. We also love to hear that you find us friendly, approachable, and innovative! In addition, we've taken your other feedback on board and have fed this back to our development team. Pros: I can keep all holiday, sickness, timesheets and appraisal/objective information in one place. I like that I can send out important communications through the system and get read receipts, saves on paper and securely storing pieces of paper. You can customise, absence reasons, recruitment and dismissal checklists (and more) to suit your business needs. Cons: Was a little complicated initially to set up my team and the information I wanted to store. However, I must say that I opted to set it up myself and with a quick couple of phone calls to the team I was set up and ready to go. Overall: It's been an extremely positive experience. The team are fantastic if I need any help they are a phone call or email away and always respond quickly. They review and update the system features when needed and send out helpful guides to explain the changes. I would recommend to other small businesses! Pros: YouManage has been amazing for our organisation and the ease it has made on our administration has been perfect. Cons: The system itself is a bit technical for some of our staff. It's not user friendly to some of them to make changes to the back-office within the system. Overall: We have recommended YouManage to HR specialists and our business contacts as a good tool to have. The support has been great and the system has eased many of our internal functions. Our employees love it. Pros: Really easy to use and easy to roll out to the staff. 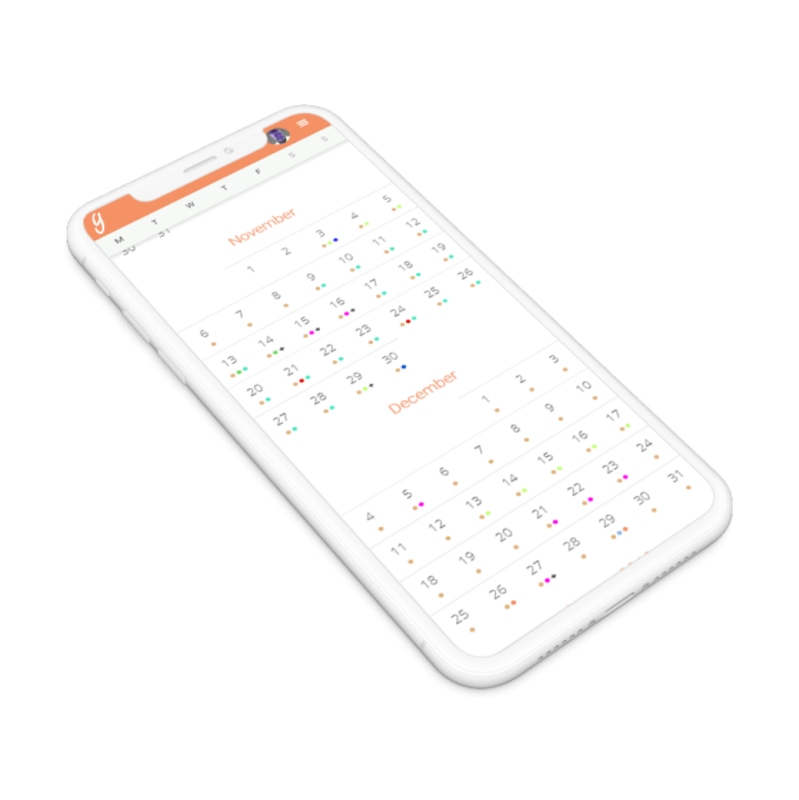 Made monitoring the calendars really easy. Cons: As with many automated systems, there are some restrictions and limitations, but I've not found these enough of a problem to stop use of the system. Overall: Easy to monitor and manage absences. Enabled clear and easy control or staff absences, including ability to manage sickness. Thank you for your great review, Liz! We're glad that you find Youmanage easy to use and implement for your colleagues. We're also happy to hear that you're enjoying the powerful absence features offered by Youmanage. In addition, we've listened to your further feedback and have fed this back to our development team. Pros: Easy functionality, easy on the eye and simple to use. The employee personal details is easily updated, reports for payroll are very easy to understand. Cons: The new feature to restrict data processing for employees could cause potential problems. IF employees select this then it may cause issues if there is a payroll change thus not showing up on reports. Hello Gemma, it's Nick here. Many thanks for your feedback, it's very valuable to us. As Youmanage is powerful and comprehensive HR software, we believe that every new user would benefit enormously from undertaking structured system training. Please feel free to get in touch with us to discuss your options. Pros: Dashboard gives Manager's an immediate insight to their teams. Cons: Dashboard search sticks which is a pain. Overall: Manager's are using it on a daily basis. Thank you for your positive feedback ¿ the Youmanage team is proud of our powerful HR software that gives managers immediate insight into their teams. In response to your additional feedback, please remember to clear your filters when searching as your filter preferences will be retained during your session, which helps users to work on the filtered data more easily. If you require any further assistance then please feel free to contact our Support Team who will be happy to help! Pros: Easy to gain the information that you require. Simple to track staff sickness and holidays and gain reports. Cons: Could do with some communication tools to message employees directly about their profile etc. Overall: We find youmanage very useful. Thank you for your positive feedback! We're very proud of the absence management features in our HR software, as well as the ability to produce detailed reports. Please contact our Support Team who will be pleased to advise you on how you can use additional features within Youmanage to communicate with your employees. Pros: It's very easy to use - user-friendly. It's quite a logical system, very little training is required. Great customer service and the cost is very reasonable as well. Cons: Would like to see more User Guides for the Performance section. Thank you for such a positive review, Emily! We're glad you find our HR software easy-to-use. We've also taken your additional feedback on board ¿ we're always expanding our Knowledge Base to ensure Youmanage users have as much useful information about our product as possible. 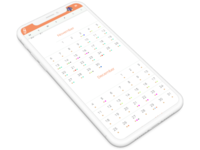 Pros: The software looks fantastic, the reports you can generate and the reminders of peoples birthdays and work anniversaries are very helpful. I love that you can issues memos to staff using the software instead of having to print out all the memos and wait for people to sign it and also that it tells you who has not read them. I have only had the software for a few weeks but it is already making my life easier. Also the time off in lieu element is excellent for our business. Cons: I don't feel i have used this software for long enough to know, but i would say that on holiday planner it would be easier if you could click on the employee and add the holiday without having to go to the create page. I would also like YouManage to create the clocking software or make it easier to link our clocking machine. Overall: The response time on any queries is very fast and efficient, people always come back to me and the overall service is brilliant. Thank you for your positive review, Verity! We're happy that Youmanage is making your life easier. We've also taken your additional feedback on board and have fed this back to our development team to improve Youmanage even more. Many thanks for your review! We're happy to hear that you find the absence reporting features of Youmanage useful. With regard to your additional feedback, you can easily clear the filters you are using by clicking on the 'Clear' button at the bottom of the page. Youmanage remembers your filters in a session as it improves the responsiveness of the system, especially for companies who have over 1,000 employee records. If you require any further advice, please feel free to contact our Support Team who will be happy to help! Why don't all companies have Youmanage?? Pros: This software makes it so easy to store all employee's information, along with absences, booked holidays, maternity/paternity leave, all in one place! I specially love the fact that employees can request to book holidays months in advance and their managers can easily view and accept the request. And no more messing about with Time off in Lieu spreadsheets! Youmanage stores and allows you to book all of that off too. Thank you for leaving such a positive review, Julia! You're right to highlight the fact that you don't have to mess around with time off in lieu spreadsheets as Youmanage does this for you. The team here at Youmanage is thrilled to hear such positive feedback as we continue to make Youmanage the best HR software available. It is very intuitive and easy to use. Cons: There is not much that we don't like about this system. Arranging holiday allocation for casual staff who do not work regular hours/days can be a bit tricky. Overall: The Youmanage team have been very helpful and approachable. The support desk has a good level of knowledge and expertise. Staff seem to stay with this company which is always a good sign and helps provide a consistent point of contact. Cons: There are no things in particular that I dislike. Perhaps from a new user perspective, would be helpful to have tooltips. Many thanks for your glowing review, Margita! The Youmanage team is very proud of the intuitiveness of our HR software, and we're glad you find it easy to use. Training records not capable for what we require. Overall: I really like the helpdesk at You Manage - they are always there to help and answer queries pretty quickly too. When purchasing this software, there was no hard sell from CSR, the package sold itself. Thank you very much for your review, Amanda! We're glad that you find the dashboard useful. Our Support Team will be happy to hear your positive comments about them. We've also taken your additional feedback on board and have fed this back to the development team. Fantastic support from initial enquiry to going live and ongoing timely responses to queries. Pros: Easy to use for both HR and end users, good reporting function and great support from team who respond very quickly on queries. Cons: User manual has scope for small improvements in terms of ad hoc queries that HR might need to carry out. Overall: Cloud based software that is accessible anywhere and helps maintain HR Compliance and employee data. Thank you for giving us such a positive review, Amanda! We're glad you find our HR software easy-to-use ¿ the intuitiveness of our product is very important to us. In response to your query about the user manual, we have made significant enhancements to our Knowledge Base which we believe will help you answer any queries you may have about our HR software. Pros: I like that HR does what it's meant to do, help us to organise our staff members / volunteers. It makes requesting annual leave and tracking sickness etc. really simple. It's useful ti have a central database of our staff details. Cons: Setting up youmanage was quite a mission. I don't find the software very intuitive and hard to navigate when setting it up. Overall: Pretty good, the customer service is excellent when you run into issues. Thank you for your positive review, Nathan! Our annual leave functionality is something we're really proud of. We've also taken your additional feedback on board as we constantly work to evolve and improve the intuitiveness of Youmanage. Due to the comprehensive nature of our HR software, in that it has a huge amount of powerful functionalities, we'd ask that you use our online Knowledge Base for up-to-date assistance or give our Support Team a call. We're always here to help. Thank you for your review, Mariam! We're happy to hear that you find the information in Youmanage is displayed well - our development team is always working to ensure we have the most intuitive HR software available. We've also taken your additional feedback on board, and have contacted you directly about the slow response times you were experiencing. We hope this issue has now been resolved for you. Cons: Nothing to dislike about You Manage. Honestly. Overall: This is a real find - great functionality, excellent customer service and support and extremely cost-effective. This system is what I've always wished for in HR software, but never found in the more expensive 'big-boy' systems. Hi Paul! Many thanks for your very positive review. We hope you're doing well and we're pleased you're continuing to enjoy the benefits of Youmanage!